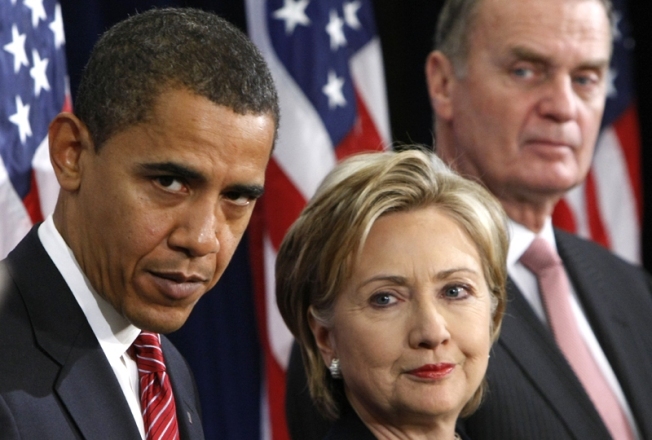 President-elect Barack Obama, left, stands with Secretary of State-designate Sen. Hillary Rodham Clinton, center, and National Security Adviser-designate Ret. Marine Gen. James Jones, right, at a news conference in Chicago on Dec. 1. WASHINGTON — The first sign of cracks in President-elect Barack Obama's foreign policy team of rivals emerged on Monday as his choices for secretary of state and U.S. ambassador to the United Nations visited the State Department. As Secretary of State-pick Hillary Rodham Clinton and U.N. envoy-choice Susan Rice separately visited the diplomatic agency's headquarters in Washington's Foggy Bottom neighborhood, persons familiar with the transition said that Rice wants to install her own transition team inside the department. Such a move by an incoming U.N. ambassador is rare, if not unprecedented, because the job is based at the United Nations in New York, where Rice already has a small transition staff, the sources familiar with the incoming administration. The push by Rice, an early Obama supporter whose position the President-elect wants to elevate to a cabinet post, is also a signal that she intends to use her influence with the new president to play a more significant role than previous U.N. envoys, they said. The transition sources spoke on condition of anonymity to discuss internal deliberations. Officials with Clinton's transition team declined to comment on the matter, and aides to Rice could not immediately be reached. State Department officials declined to comment on issues related to the transition. It was not clear if Clinton and Rice _ who had strained relations during the Democratic primaries because of Rice's steadfast backing of Obama _ saw each other at the State Department as Clinton left the building shortly after Rice arrived. During the presidential campaign, some Clinton aides saw Rice's early decision to back Obama as a betrayal because of her previous role as a high State Department official during President Bill Clinton's administration. Rice's desire to place her own team in Washington could fuel speculation that those tensions will carry into the new administration. The officials could not say if Clinton's team had formally objected to Rice's plan, or even if Rice would be able to install a separate transition team inside the State Department. But they noted that dueling transition teams could complicate the handover by blurring lines of authority. Technically, the job of U.N. envoy falls under the authority of the secretary of state, although some previous U.N. ambassadors have held cabinet rank. The last U.N. ambassador to be part of the president's cabinet was Richard Holbrooke, who had a famously icy relationship with then-Secretary of State Madeleine Albright during the Clinton administration. Albright, who was President Clinton's first ambassador to the United Nations, was a mentor to Rice. But the two had a falling out when Albright, America's first female secretary of state, lined up behind Hillary Clinton for the Democratic presidential nomination and Rice backed Obama. Hillary Clinton, meanwhile, was to dine Monday evening with the nation's current and second female secretary of state, Condoleezza Rice, at Rice's apartment in the exclusive Watergate complex. The two Rices are not related and Condoleezza Rice said on Sunday that she thought Clinton would do a great job. Also Monday, Clinton was to meet privately with Sen. John Kerry, D-Mass. 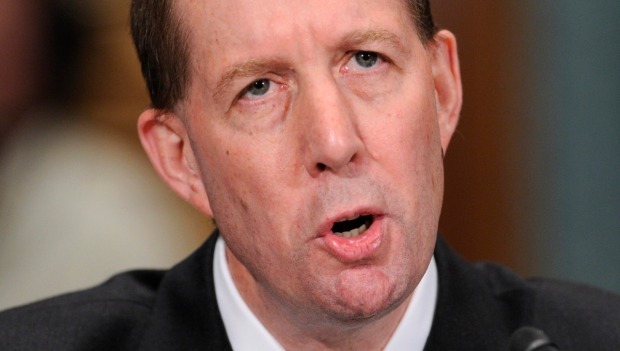 and the incoming chairman of the Senate Foreign Relations Committee, according to a Democratic official. Kerry, once a contender for the secretary of state job, will oversee Clinton's confirmation. Kerry has pledged to hold "swift and fair" confirmation hearings.